After registering, students receive free online access to a curriculum project. Registration opens August 1, 2015 and closes September 25, 2015. Winners will be declared October 20, 2015. 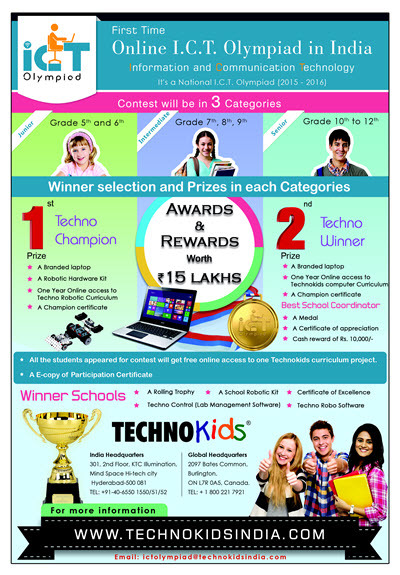 To register or for further information, visit TechnoKids India or email ictolympiad@technokidsindia.com.